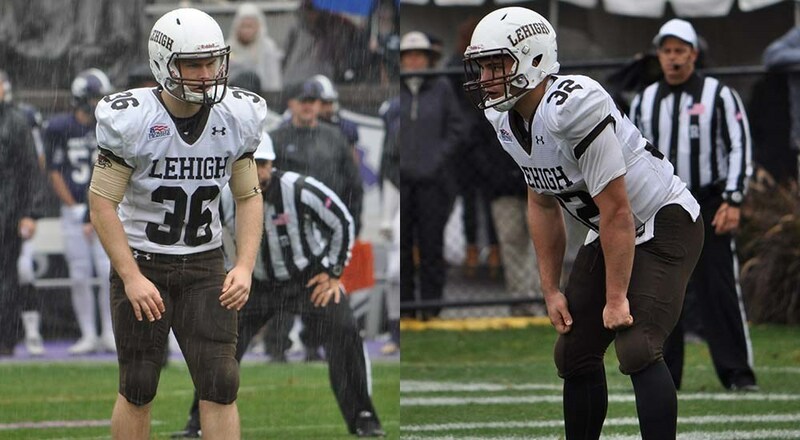 Lehigh 46, Holy Cross 14 Postgame Commentary: Does This Team Have Shades Of 2011? I've been doing this long enough to know that every Lehigh football team is different. The dynamics running through every team is different; what motivates one team has no impact on the team of the following year. Like an Adele Spotify channel, you can't help but be reminded of 2011 when you go to Murray Goodman Stadium or Fitton Field or wherever they're playing. The popular online game between fans on the Lehigh football message board is: Who was better, 2011, or 2016? The answer is still, beyond a shadow of a doubt, 2011 - for now - but the only reason for that is that 2016 is still in the midst of writing their story. Yet it can hardly be helped that fans look at the potential of this 2016 team and think, with apologies to Adele, that they are rolling in the same sort of wins that they were in 2011. When looking over the 2011 season and the 2016 season to date, one sometimes forgets that the expectations on the 2011 team were much higher then. At the same time, the recognition came in at lightning speed by the conclusion of the 2010 season for that team. After winning the Eddie N. Anderson award at Holy Cross for the most outstanding player in the Family Weekend game, QB Chris Lum and the 2010 team only entered the STATS (then called The Sports Network)'s Top 25 the weekend before the big Rivalry game against Lafayette, the week after they beat Georgetown 24-7 in DC to clinch the Patriot League title. That 2010 team traveled to Northern Iowa and upset the Panthers in the first round before falling to a Delaware team led by QB Pat Devlin, 42-20. At Patriot League Media Day going into the 2011 season, Lum talked to me about the challenge of the increased expectations. "We've never experienced anything like this, especially the seniors," he told me. We finished with losing records in '08 and '09. We've never had any recognition like we have this year." Lum understood that with increased recognition came increased work. "We have to work harder than last year," he told Lehigh Valley Live reporter Michael LoRe at the time. "It's going to take a lot of hard work and discipline to not buy into those rankings, yet ultimately prove we can live up to them." "As hard as we worked last season, we're going to have to work twice as had this year," he told Keith Groller of The Morning Call. Yet he also broke from that narrative briefly to talk about Delaware, telling me, paraphrasing, that he was haunted by an interception before halftime of that game that was, until that point, very close. I remember Lum as a perfectionist as a player - always tweaking his game and trying to improve, developing a running game when he was seen publicly as a pocket passer, quickness, footwork, and accuracy. I remember the conversation very well because despite beating himself up for the error a bit, he noted that he felt that he and the team looked back at that Delaware game and realized that they really weren't all that different or far away from the Blue Hens when it came to talent. Take away that interception, and Lehigh was right in that game. It was an epiphany. For the most part, the Mountain Hawks came out of the gates blazing in 2011, and met the lofty expectations. They'd finish the regular season 10-1, their only slip-up coming at home against New Hampshire in a battle of future playoff teams, a wild 48-41 overtime defeat that took a questionable call in overtime to help consummate the win for the Wildcats. "I took a deep breath after the interception, and said to myself to take it one play at a time," Lum said afterwards. "We're not going to score 18 points in one play, but we're dangerous. We can score on three straight drives." Lum and the offense would prove that again and again during the 2011 season, not losing another game until December. It started with wins over Princeton, Liberty and Yale, as the potent receiving duo of WR Ryan Spadola and WR Jake Drwal really were starting to really take shape before Patriot League play. "How do you guys get so wide open?" a reporter asked the pair after the win against Yale, a particularly domininant 37-7 affair. "I think it's our offensive coordinator, Dave Cecchini," Spadola said. "He's one heck of a coach. He just designs plays where the defense to double-cover one of us. He knows how to pick apart defenses and find the openings." "We're competitors," Drwal added. "We try to feed off one another and try to make the most of each other on the other side." By the end of the season, Drwal would have 92 receptions and Spadola 96. Both would top 1,000 yards receiving, Jake with 9 TDs, Ryan with 11. It was also paired with the rushing attack of a legendary Pennsylvania high school running back, RB Zach Barket, who was another giant headache for opposing defensive coordinators. 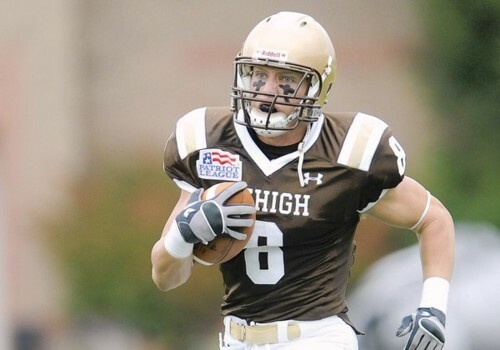 He'd rush for 706 net yards on the season, and when he was healthy, the Lehigh offense was hard to stop. The other, sometimes-overlooked part of the team that made it so special was the defense. LB Mike Groome was the tackling leader on the team and was the fiery, emotional leader on the team, while LB Billy Boyko, FS Tyler Ward, DE Colin Newton and DT Sajjad Chagani did a great job shutting down offenses with blitzes that seemed to come in from everywhere. "Give credit to Lehigh. They might be one of the best Patriot League teams I've seen in a long, long time," Ram head coach Tom Masella said after Fordham fell 34-12. "I told the team after the game that we played hard, which I was happy with, but we didn't play well. We knew going into the game that we would have to score points on offense to have a chance to win but we couldn't come up with the big play when we needed it." It seemed like the defense would feed off the offense, and vice versa. I could go on, about the big win over Lafayette, the epic win over Towson, the Lambert Cup, the twists, the turns, the end of the road in Fargo. The 2011 season was unbelivably special. But the 2016 team can't be compared with the end results of the 2011 season. They need to be judged where they are now, so it seems appropriate to stop the comparison at the middle of the 2011 season. That fresh look at the 2011 season shows what's similar, and what's different, between then and now. The 2011 team looked very strong, with a dynamic offense and a stifling defense - which is how this 2016 team looks when it's at its best. Like the 2011 team, this group, led by both senior QB Nick Shafnisky and sophomore QB Brad Mayes, have a pair of superlative wideouts to throw to, junior WR Troy Pelletier and junior WR Gatlin Casey. They have the running component, led by sophomore RB Dominick Bragalone but also with a trio of other good running backs as well. And they also have the emotional leadership of senior LB Colton Caslow, who reminds me a lot of Mike Groome when it comes to intensity. At this point in time, operationally this 2016 team has a lot of the same look and feel as the 2011 team. The resemblance is uncanny. Yet there are very critical differences that are worth repeating. First, the expectations on this year's Lehigh football team more resemble the low-expectation year of 2010 rather than the high-expectation year of 2011. Like the 2010 team, this year's squad has only entered the Top 25 this week after a long, hard road of winning to finally get recognition. Second, at this point this Lehigh football team lacks the marquee win that the 2011 team did. Not only did the 2011 team beat Monmouth handily, they beat a nationally-ranked Liberty team and came very close to knocking off New Hampshire as well. It doesn't need to be repeated that this year's Lehigh team lost to Monnmouth, and although Princeton, Penn, and Colgate have elements of very good football teams, all of them have records that have kept them out of the Top 25 all season so far. This 2016 Lehigh team doesn't have a win over as complete a team as that Liberty team back in 2011, a team that featured a dynamic offense led by QB Mike Brown and a defense that would feature future NFL S Walt Aikens, currently playing for the Miami Dolphins.. There's also that matter of going undefeated in Patriot League play - which of course includes a victory over Lafayette - and thus ensuring a possibility that the Mountain Hawks will be able to have a chance to get playoff wins. For with all the positive momentum, with all the fun energy coming from this team right now - all the good defense, the powerful offense, the booming kicks from sophomore PK Ed Mish, the running from Dom Bragalone, - it can all go in an instant with losses in any of their final three games. I don't think the 2011 team had the sort of razor's edge that this 2016 has in terms of playoffs or conference championships. There is a fragility to this season that remains even as the wins keep piling up and the accolades, once invisible, start to trickle it. Unfortunately, one loss can see it all disappear. I am eager to find out how this football team can navigate this razor's edge over the last three weeks of the season, because I see a lot of 2011 in this team and I'd hate to lose it. Like everything else this season, these 2016 Mountain Hawks will have to prove themselves the rest of the way. Nothing will simply come to them. They'll have to go grab it. My thoughts exactly Chuck. And we have even more NFL potential at the skill positions. And a better set of DBs, which I think sets this team apart. All about Fordham for now however. Time to beat those Rams once again.